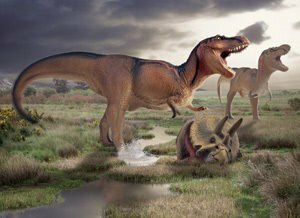 Dinosaurs inhabited our planet 9 million years earlier than scientists previously believed. The latest finds reveal that their ancestors were the size of cats and dogs. In the scientists' view, this is a key step in the understanding of evolution, writes the Daily Mail newspaper. 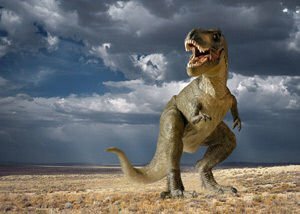 Research shows that the little critters that lived on Earth 245 million years ago were most likely related to dinosaurs such as T-Rex and Velociraptor. One of these dino ancestors was found for the first time in Africa. It was a predator about the size of a Labrador. The specimen had a 3.5 ft (1 m) long tail and lived alongside other other specimens 243 million years ago. The tracks of a different creature were found in a quarry in Poland. It lived on our planet in roughly the same time period as the creature found in Africa. The other animal was the size of a house cat. 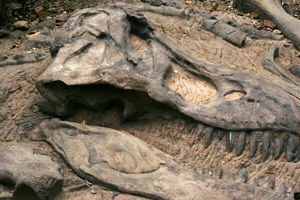 Expert Richard Butler from the University of Birmingham says that the new facts about the genealogy of dinosaurs are the key to solving the riddle of their evolution. The paleontologist has examined the tracks from the quarry in Poland. 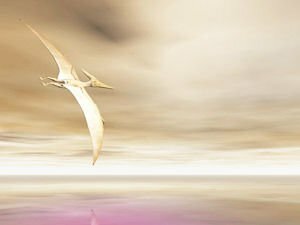 Thanks to them, the scientist has concluded that the ancestors of the dinosaurs appeared on Earth 9 million years earlier than was previously thought. It also turns out that the dinosaurs appeared several million years after a mass extinction caused by a volcano eruption. 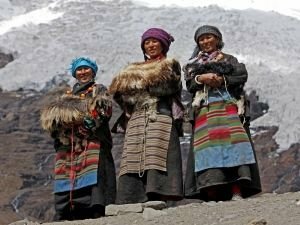 This led to warming and a change in the climate. 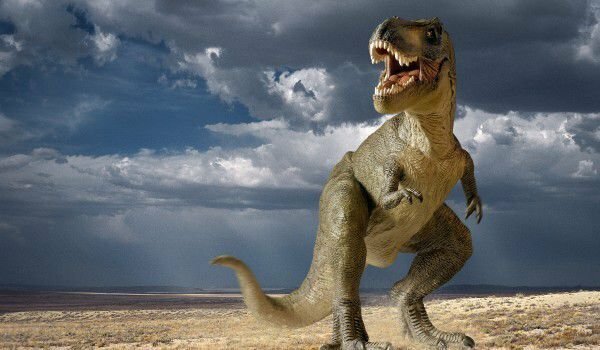 Dinosaurs appeared while the planet was recovering from the event and then disappeared 65 million years ago. One of the hypotheses about their extinction is that an asteroid hit the planet 65 million years ago. It filled the air with dust and led to a colossal ecological problem. 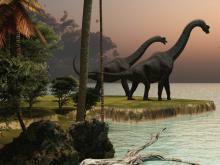 A different hypothesis states that the dinosaurs died in the aftermath of severe volcanic activity. In recent years, there are ever more talks that the dinosaurs could have vanished after the onset of high volcanic activity followed by an asteroid collision. For scientists, the question still remains a great mystery.